Just another very special piece that is so unique and different! 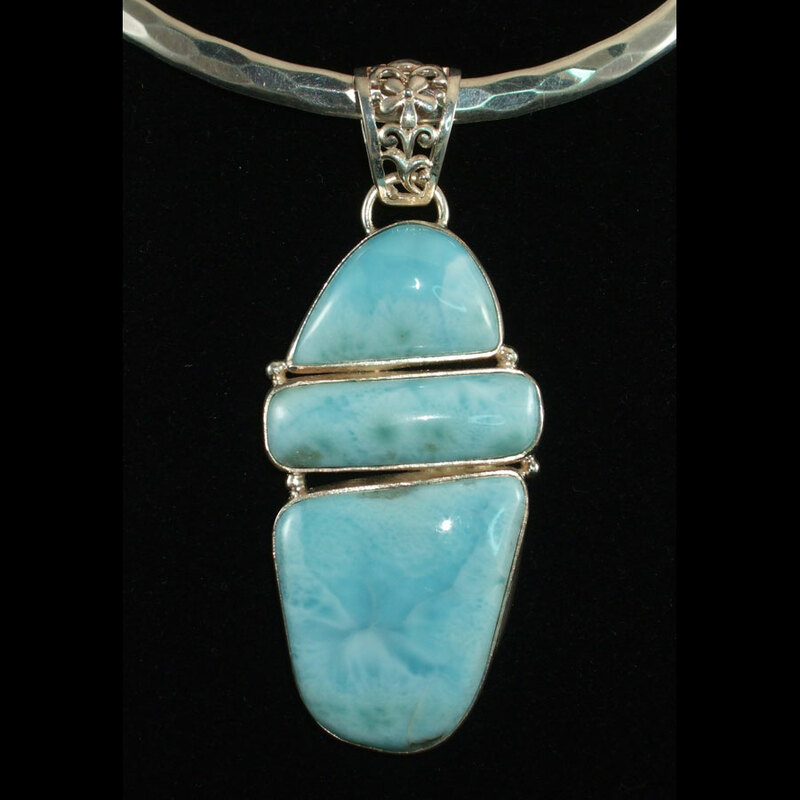 This Sterling Silver pendant features a good size “chunk” of rough Turquoise accompanied by a faceted White Topaz and a “chunk” of copper below. The copper nugget and all the silver are covered in 18K Gold sheeting! It looks like a big gold nugget but it’s far more affordable! 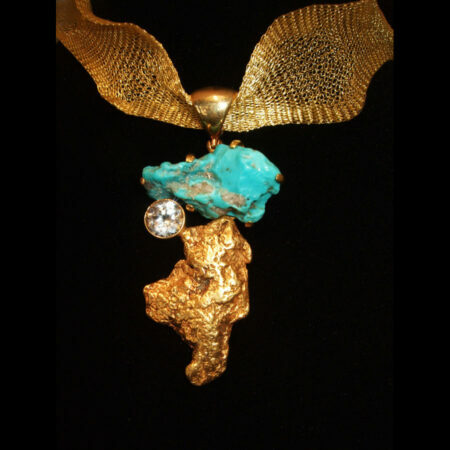 You just do not see Turquoise in a gold setting very often, so this is for all you gold lovers out there! 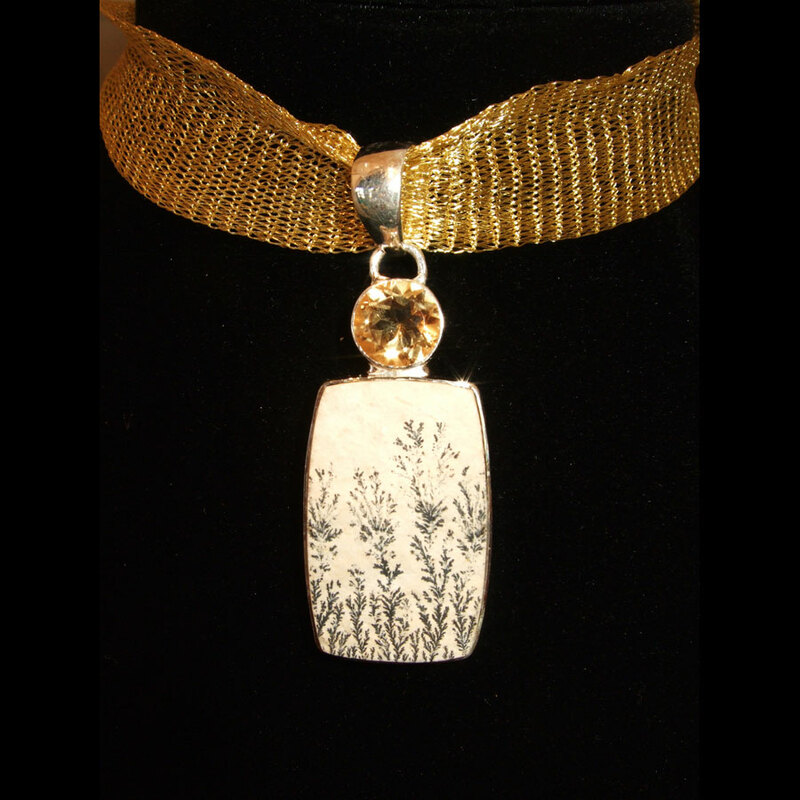 The pendant measures approximately 3″ in length X 1″ wide. It is just fantastic!